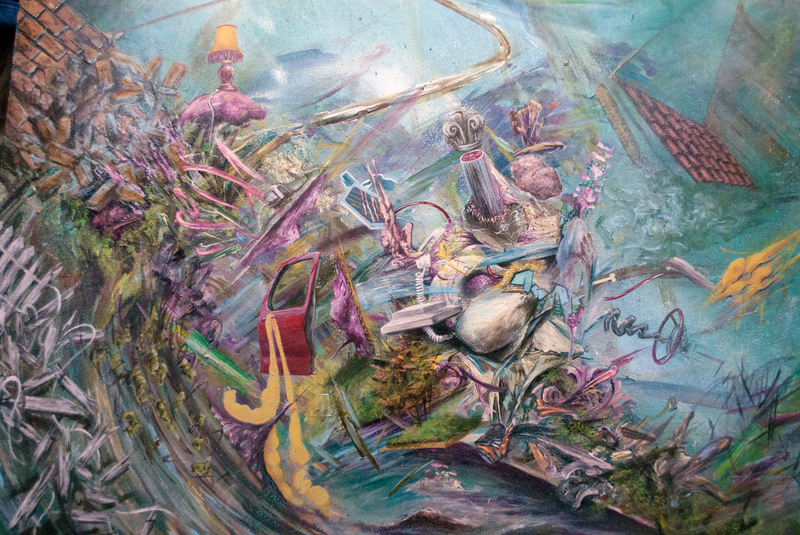 Miller has created the title of the show as a way to describe his current work. 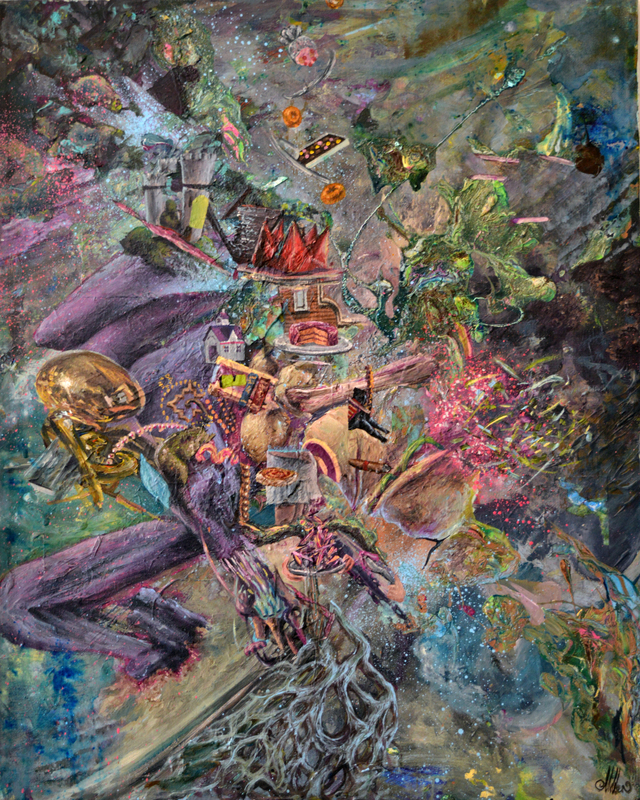 In attempting to solidify fluid metaphysical imagination, he perceives this physical form would be mineral-like, and so coined the word “imaginite”. 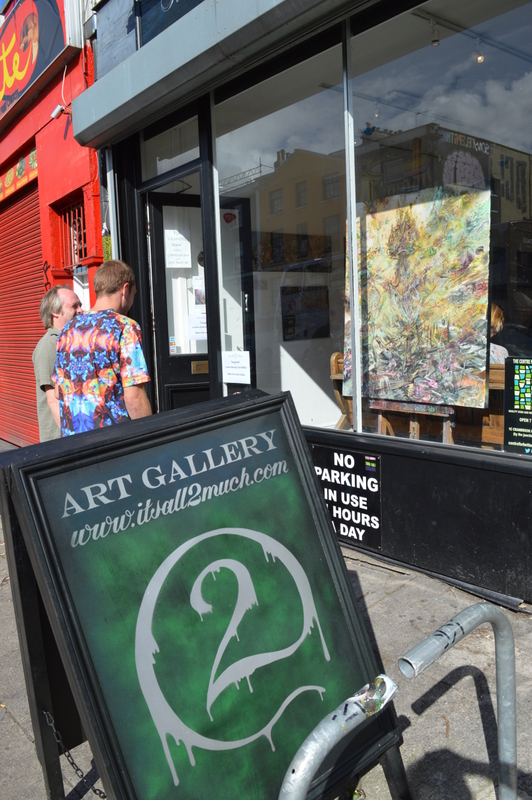 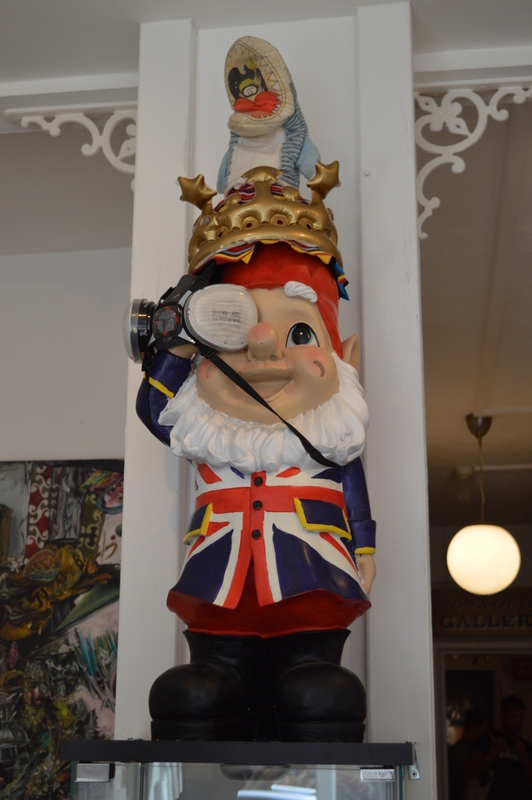 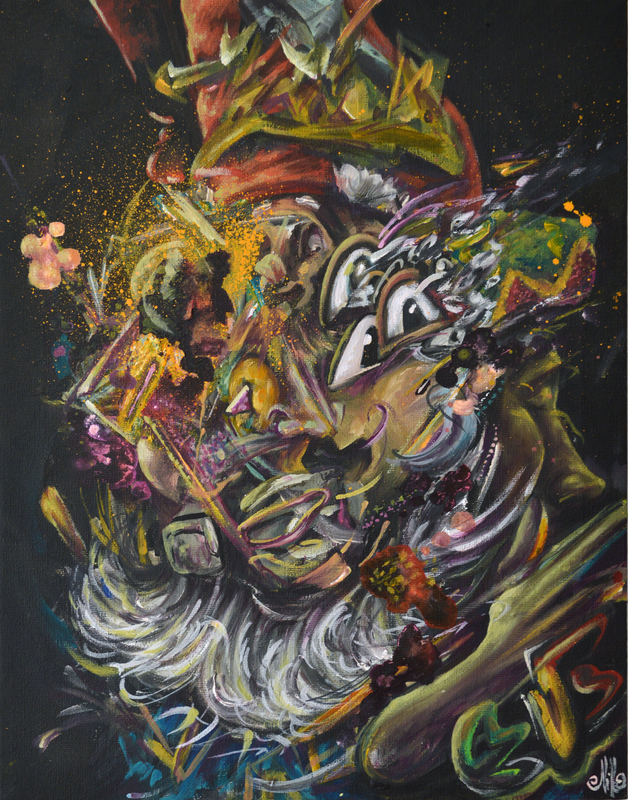 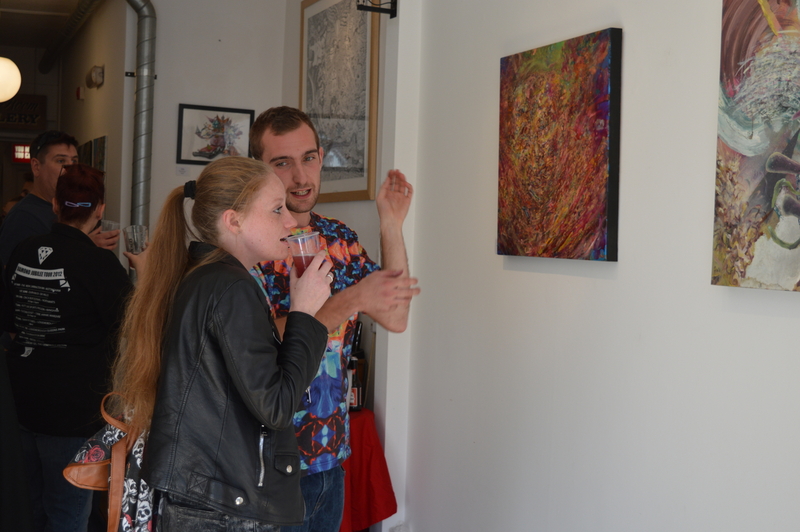 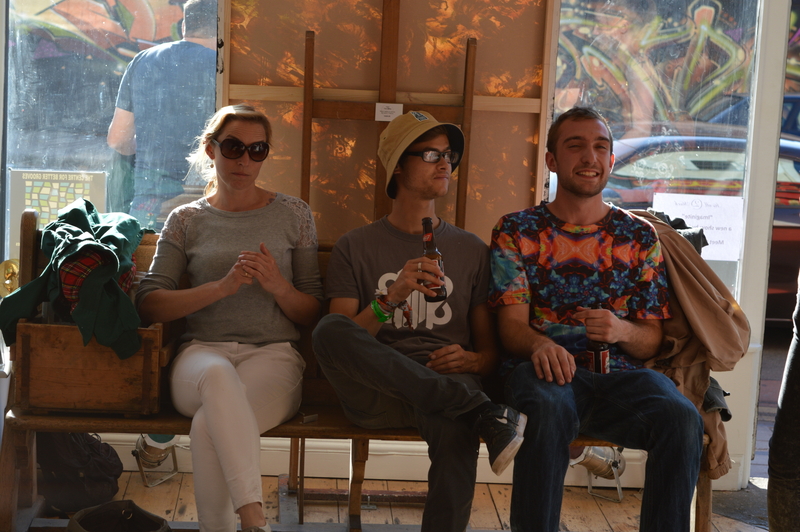 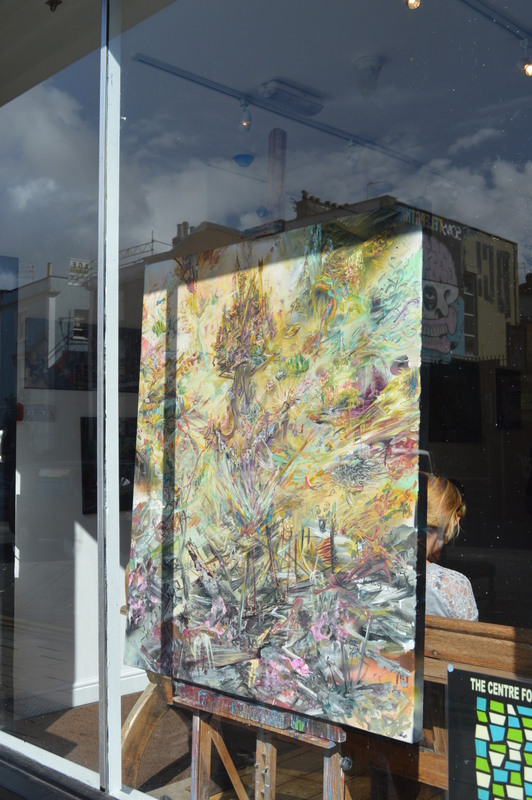 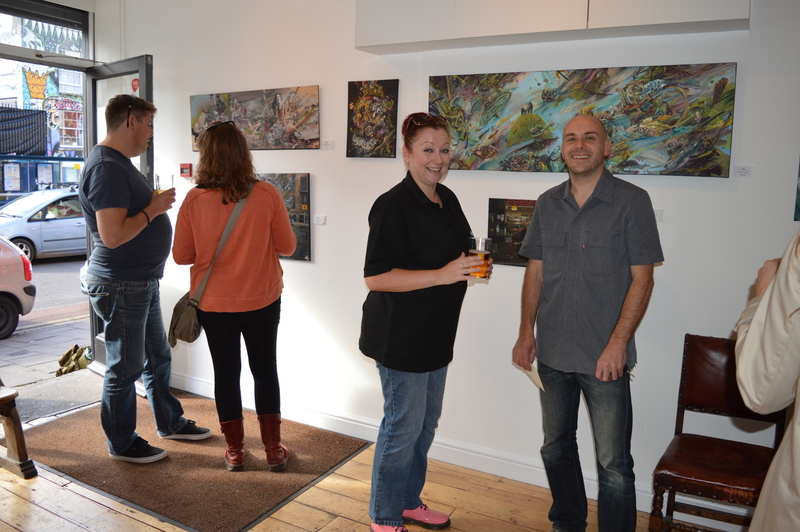 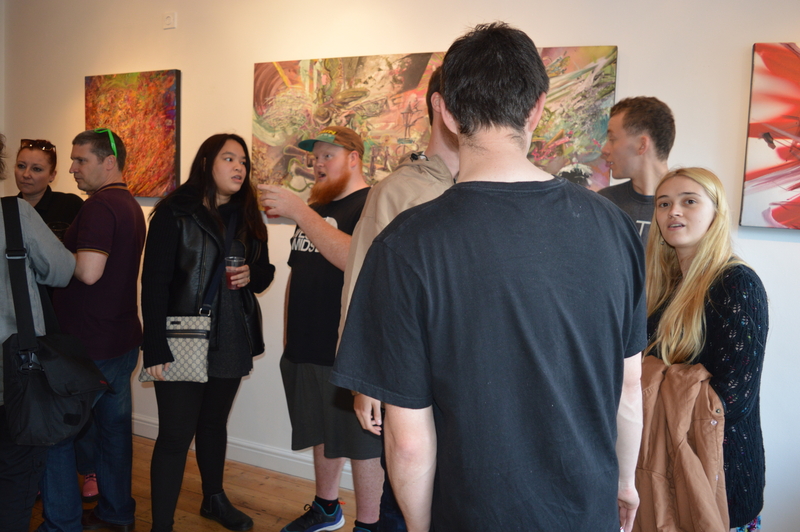 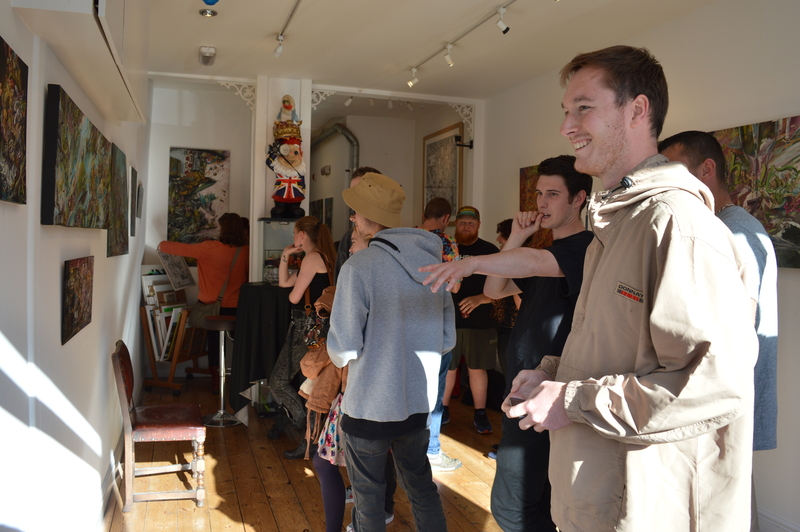 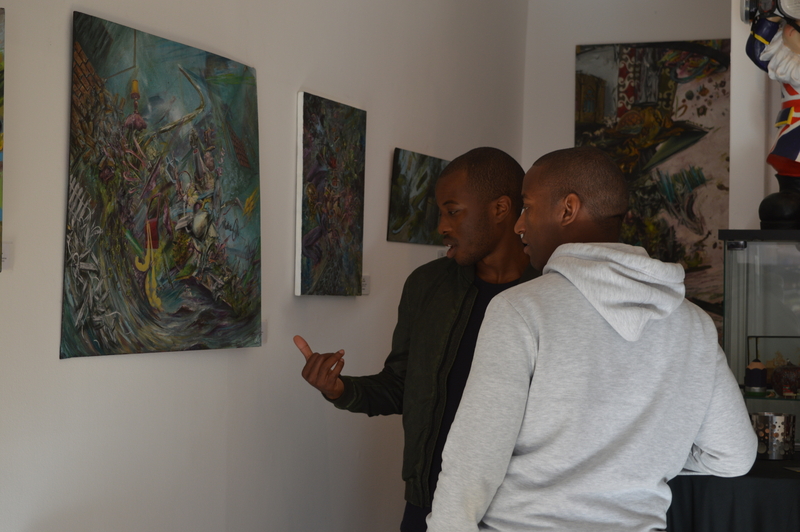 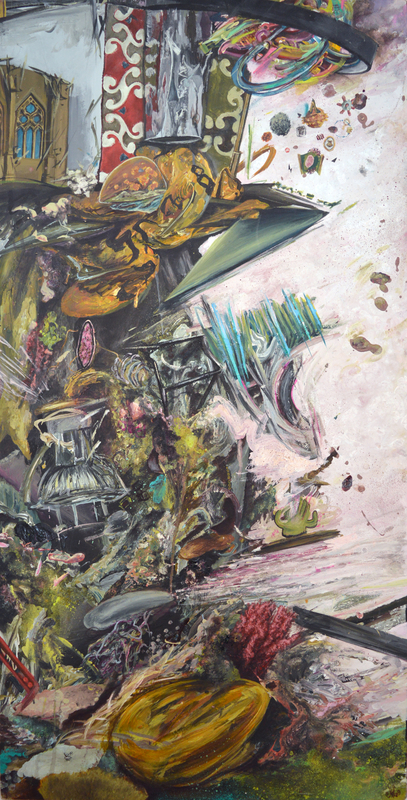 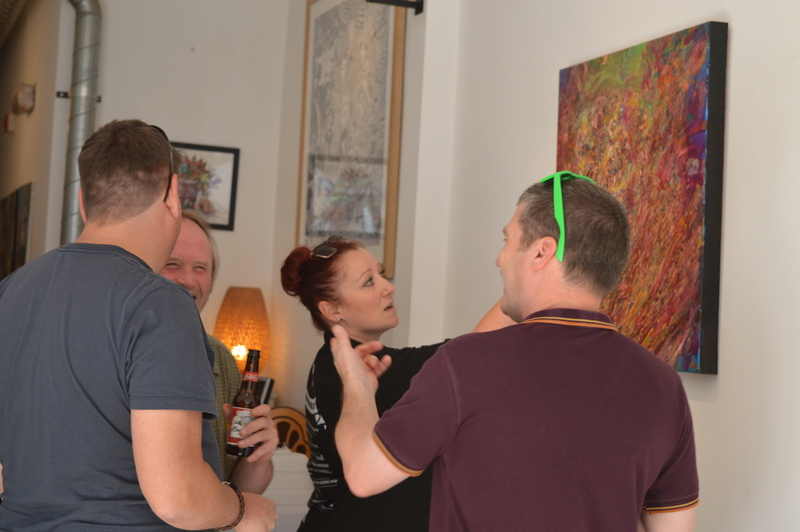 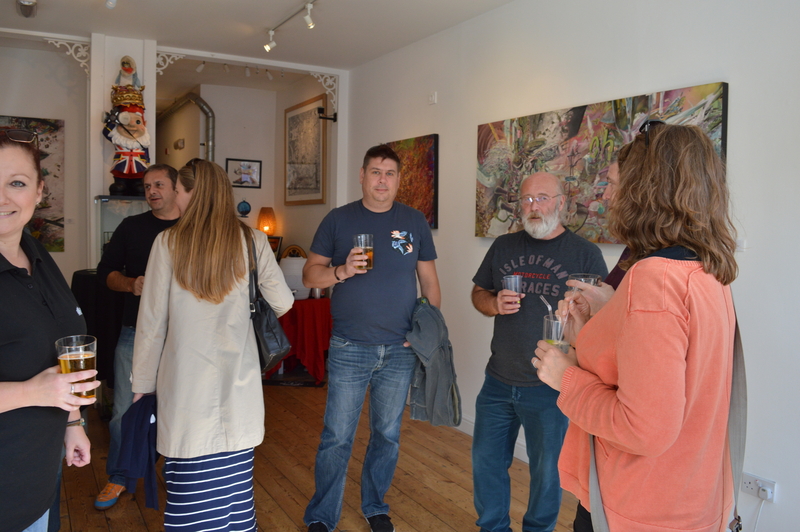 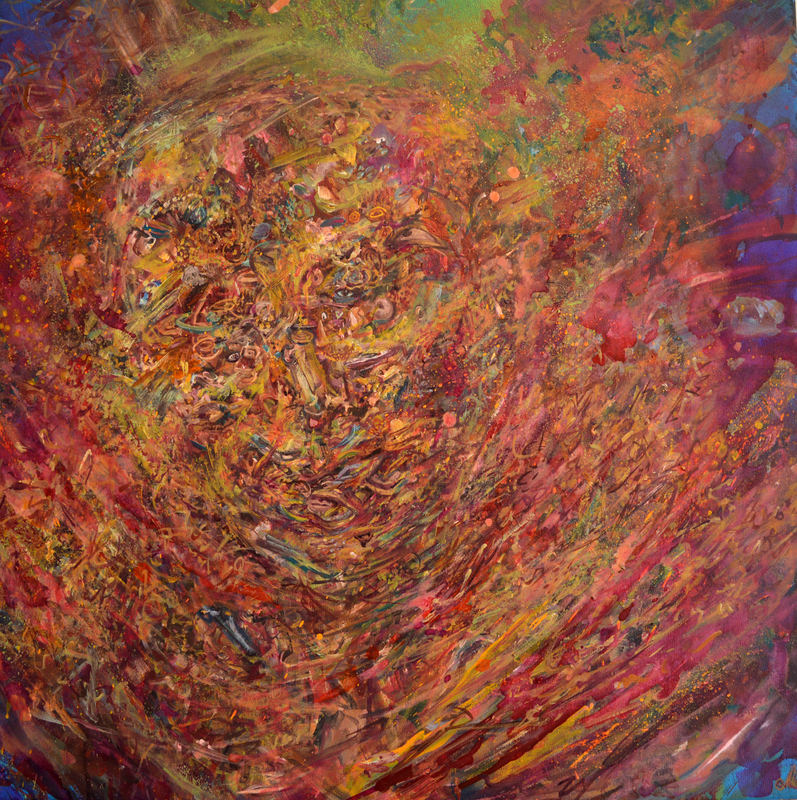 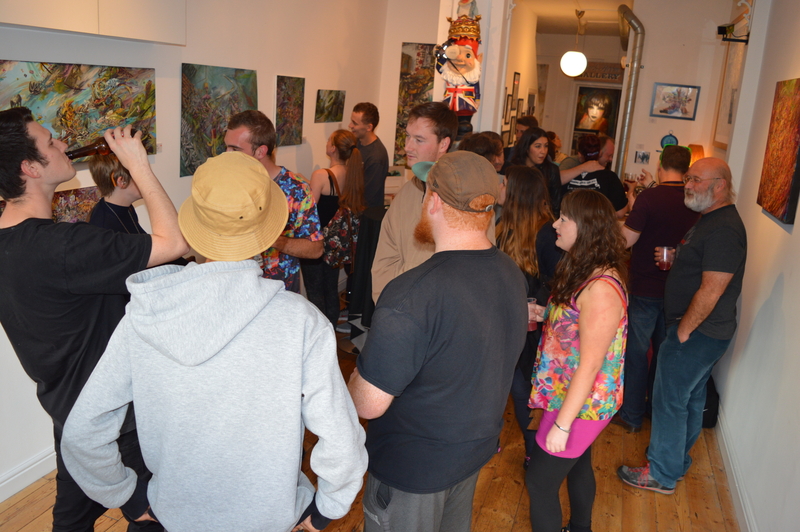 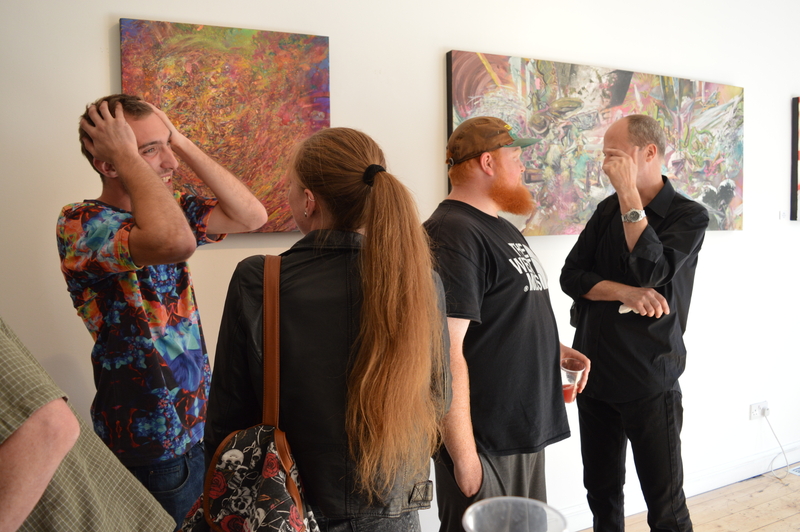 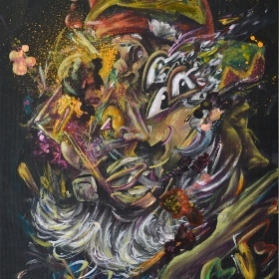 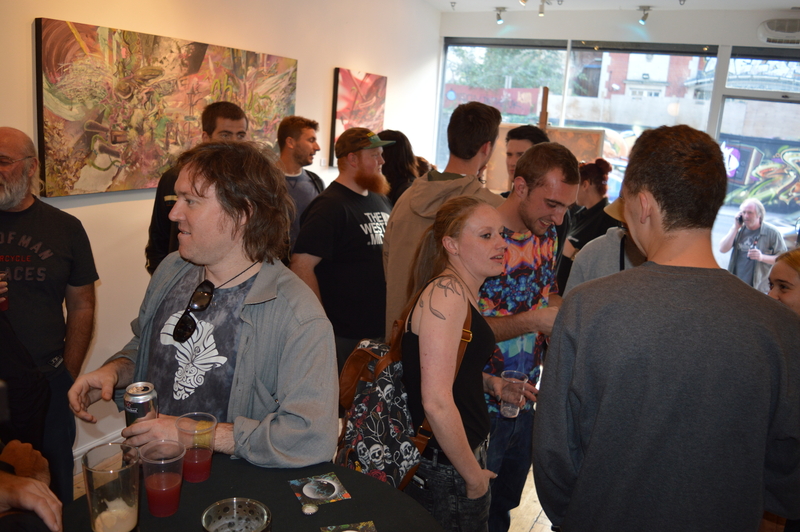 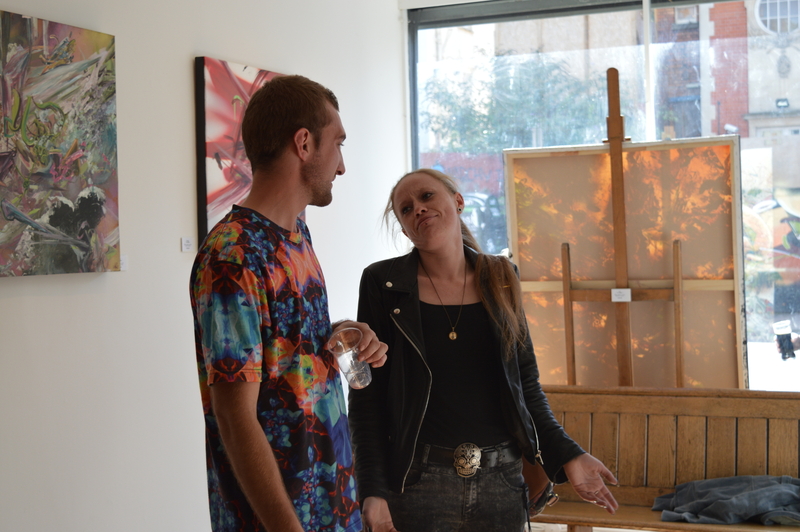 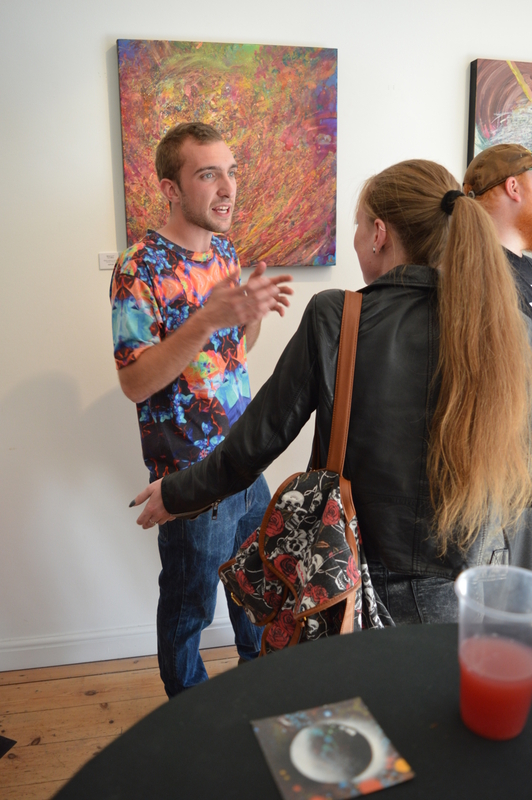 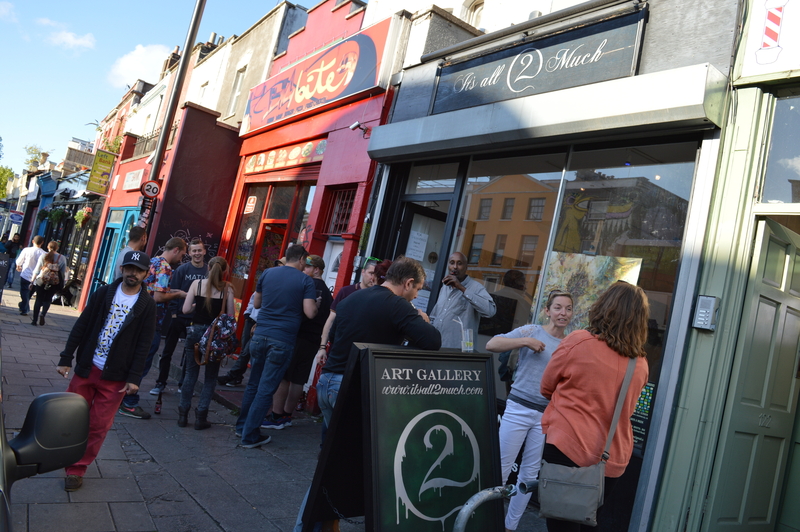 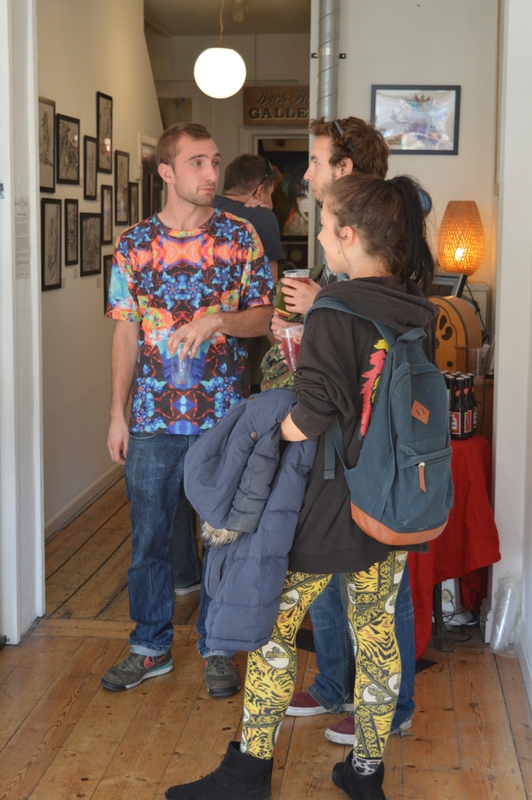 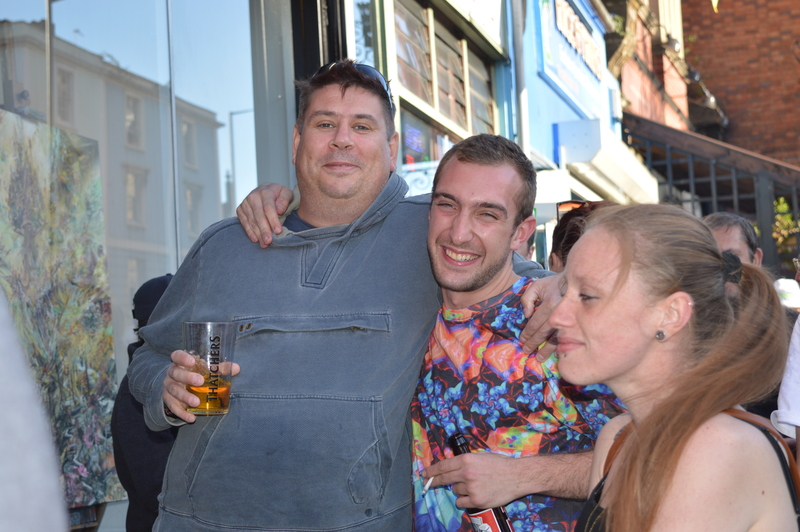 Miller first exhibited at It’s All 2 Much Art Gallery in 2013 when he was in his first year at UWE. 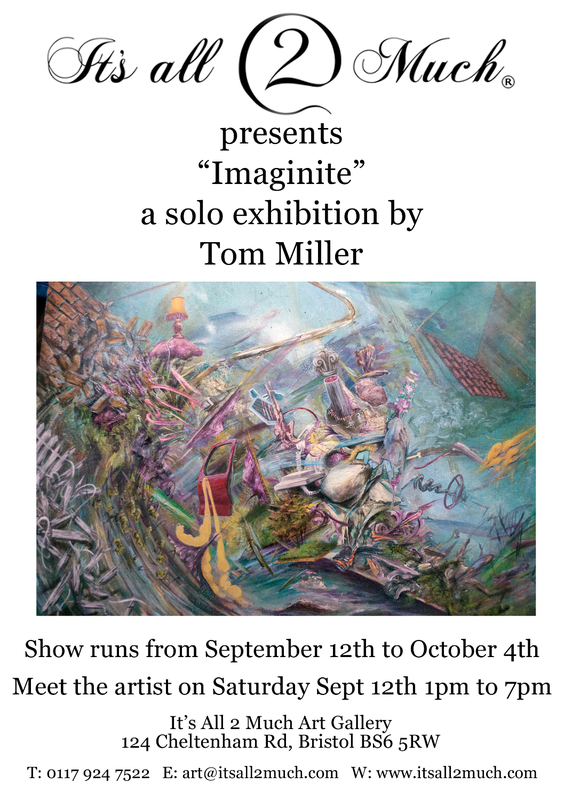 Even then, we were struck by the imaginative subject matter and quality of his work and we are delighted to invite him back for a solo show now that he has successfully completed his degree course. 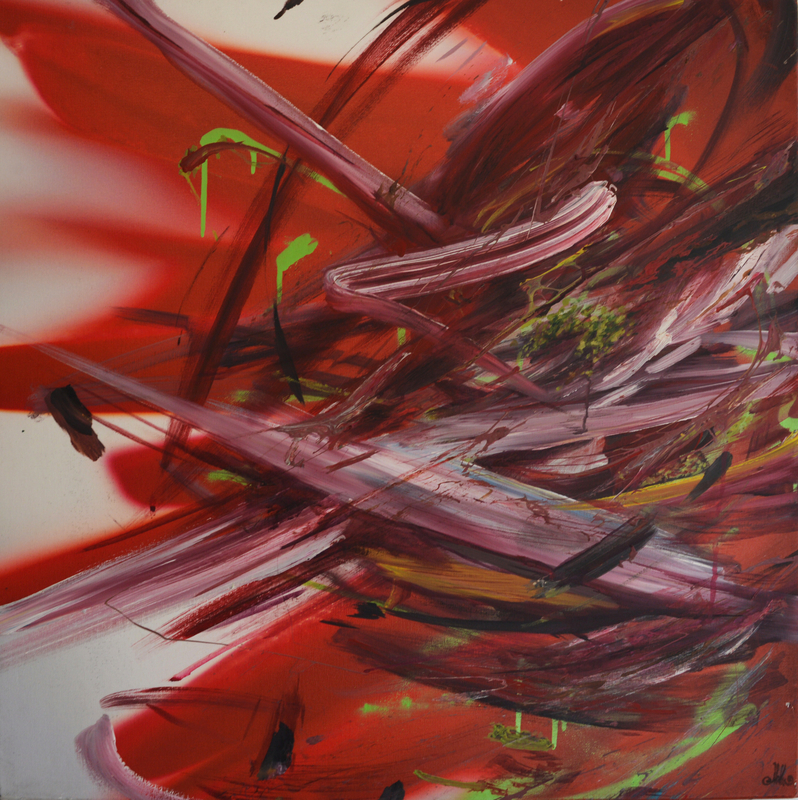 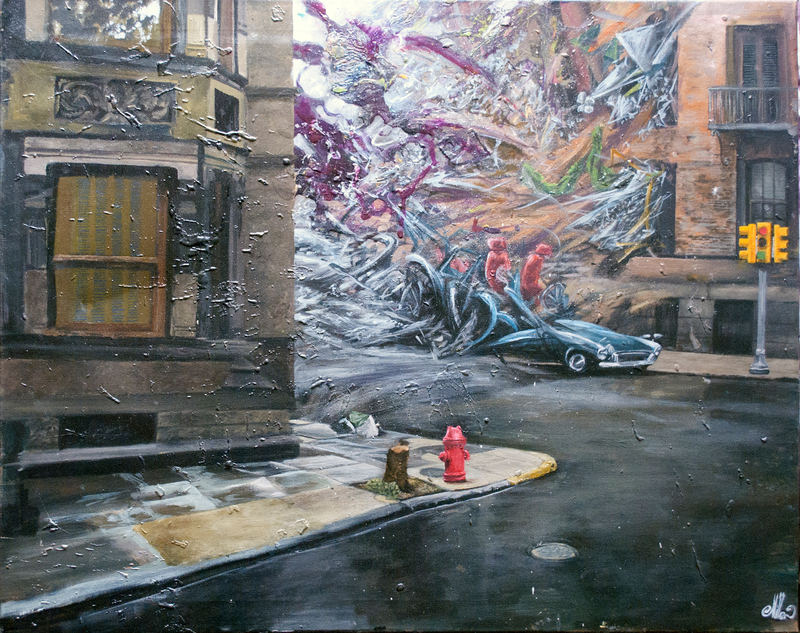 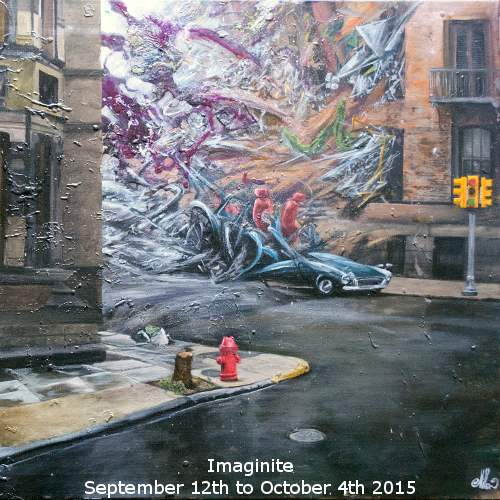 Image (right) is “Street” by Tom Miller.